Black and white. Yin and Yang. Western and Asian. Art and style. Food and drinks. 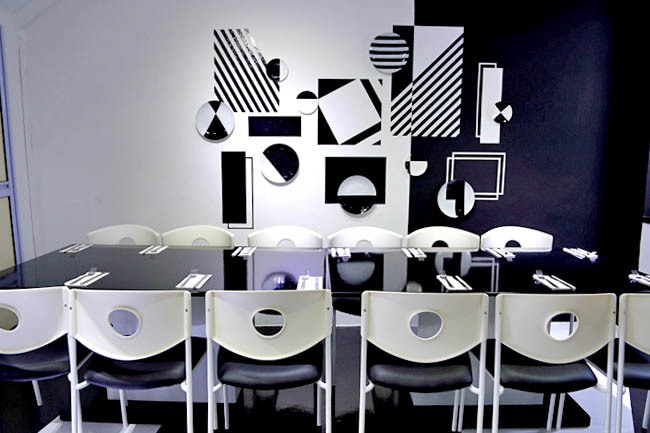 A monochromic themed café bistro, Monochrome Fusion Bistro has found its way near Chinatown, in minimalist design, decorated in black and white. I heart. The name alone has appealed into my inner OCD. While I probably could predict what the interior would look like, I wondered what creative spins would be incorporated in their menu. Set up by three friends in the real estate industry, design was in their forte, with their service staff decked in stylish grey-checked shirts and black jeans. This reminded me of Bangkok, where cafes paid some attention to design and uniforms, and it DOES make a difference to the dining experience. 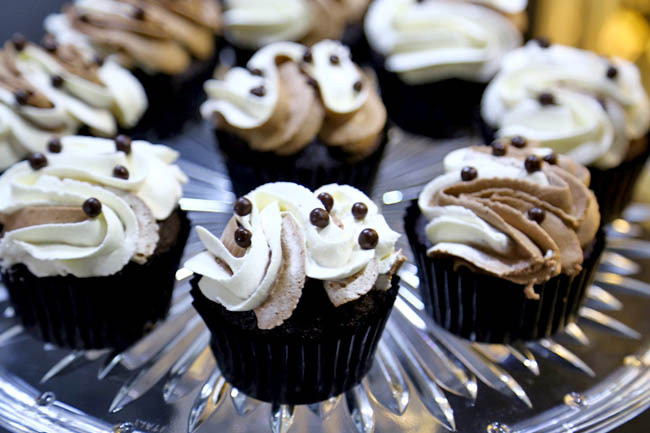 One could predict liberal use of black squid ink and white cream in their foods. 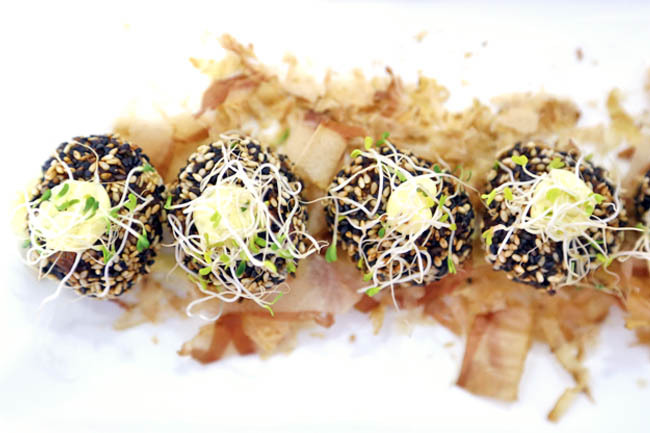 Some of their signatures: Monochrome Signature Meatballs ($16) – handcrafted meatballs coated with black and white sesame, Monochrome Squid Ink Risotto ($24) – squid ink risotto with pan-seared scallops and parmesan cheese, and Snapper Loin Cha Soba ($24) – soba, teppanyaki snapper, served with miso broth. That’s not black and white, is it? I did feel that the price point could be a few dollars lower for some of the dishes. Perhaps offer a discount to those who come dressed in monochromatic shades? 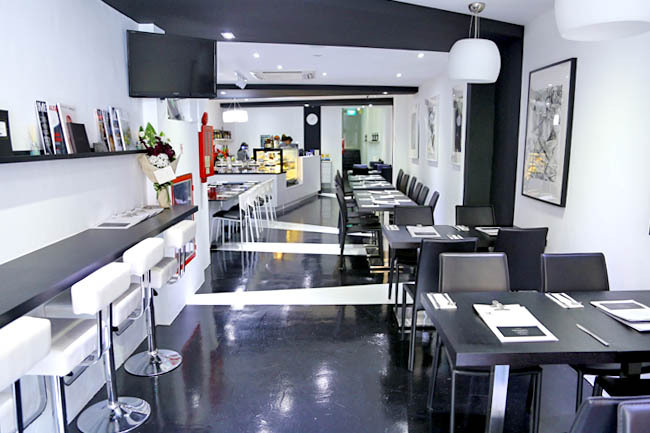 We generally liked their offerings, both in aesthetics and taste (maybe more inclined to looks). 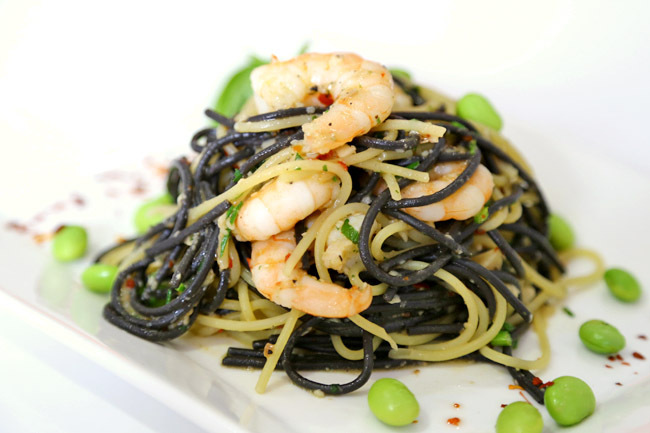 The Monochrome Aglio Olio ($25) was a combination of the more ordinary white spaghetti combined with the squid ink variant, served with a choice of mussels or prawns. Al dente, evenly tossed, tasty. The edamame beans which acted more as an ornament was the ‘spoiler’ though, the green at odds with the theme. Consider blacker beans perhaps. The Monochrome Signature Meatballs ($16) could be bigger and juicier, but was still a savoury treat of minced beef with chopped chorizos and Portobello, covered in black and white sesame. 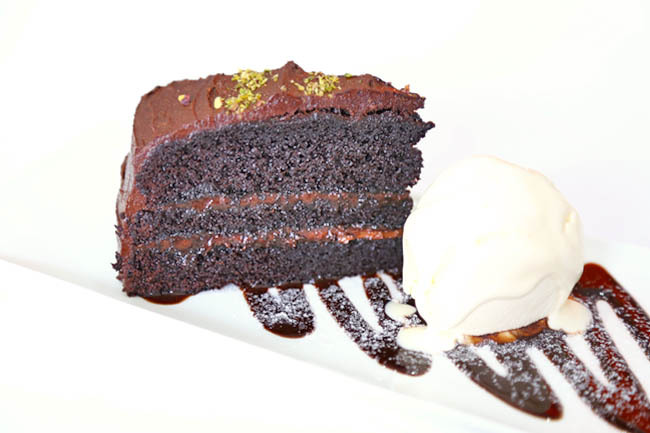 Their variety of dessert and cakes was decent, and we could see diners inclining towards Churros with Mint Chocolate Dip ($12), Spiced Chocolate Lime and Vanilla Cake ($9) and Black Velvet Cake. 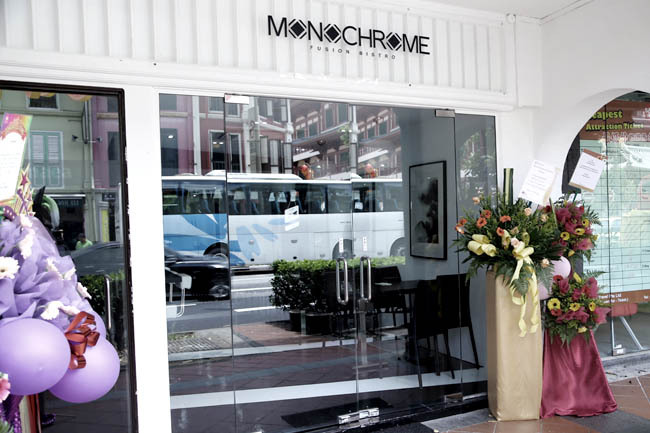 If Monochrome Fusion Bistro can further streamline and inventively keep their food and theme in those basic colours, while keeping their prices a little more affordable, I believe hipsters would stream here.